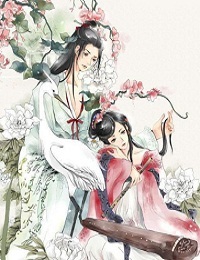 This Chinese of Satisfy Thirst By Watching Plums--Wang Mei Zhi Ke is 望梅止渴, and Pin Yin wàng méi zhǐ kě. Cao Cao was one of the central figures of the Three Kingdoms period. It was he who laid the foundations for the state of Wei and was posthumously titled Emperor Wu of Wei. Cao Cao has also been praised as a brilliant ruler and military genius great at leading troops in battle. In 197 summer, Cao Cao was leading his army in a punitive expedition against a minor warlord named Zhang Xiu. 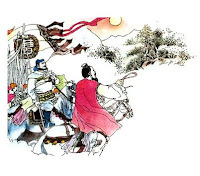 It was terribly hot; the sun was sizzling the land; Cao Cao's soldiers braved the scorching heat, walking on the winding and treeless mountain paths. They were exhausted and extremely thirsty. Seeing the marching speed had slowed down a lot, some civil officials suggest letting the troops take a rest, but Cao Cao and his generals disagreed, for they thought it was very dangerous to stay at a vulnerable place like that. 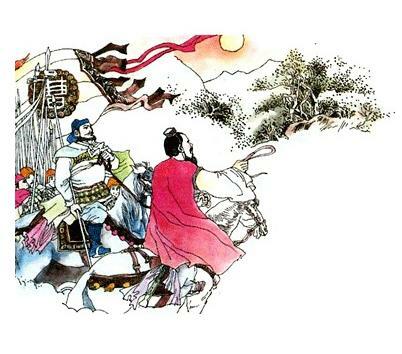 Cao Cao called the guide and asked him on the quiet whether there was a source of water nearby. The guide shook his head, saying that the spring water was far away on the other side of the mountain. All officers disappointed at the answer, when they realized it would take a long time to get there at the then speed, while the soldiers were so thirsty and tired that they were unwilling to go any further. Just as they were at their wits' end about this dilemma, Cao Cao suddenly was struck with a brilliant idea. He spurred their horses up a small hill, on the top of which he pointed at the front with his horsewhip, saying loudly:" My warriors! I see there is a large forest of plums ahead. They are drooping with green plums. The green plums are so juicy and sour. Eating one is enough to get rid of all your thirst and tiredness. Let's hurry up! We can enjoy those plums as long as we cross the hill in front of us." Hearing this, all soldiers felt greatly bucked at once. Especially when they thought of the sour and juicy green plums, their complaint of thirst was quickly faded, and some soldiers' mouthes were even unintentionally full of saliva. As a result, they marched vigorously again. A short time later, they reached a safe place and found water. This Chinese idiom story is from "Shi Shuo Xin Yu (世说新语)", a book of collecting anecdotes, written by Liu Yi Qing of the Southern Dynasties period (420-589). The idiom of "Satisfy Thirst By Watching Plums" refers to trying to console someone with false hopes.